Web News System: Toys R Us on the brink of collapse: Retailer could disappear from UK before Christmas with closure of 105 stores and loss of 3,200 jobs if it can't find £9million in race against time. Toys R Us on the brink of collapse: Retailer could disappear from UK before Christmas with closure of 105 stores and loss of 3,200 jobs if it can't find £9million in race against time. Children’s retailer Toys R Us was last night on the brink of collapse – putting thousands of jobs at risk just a week before Christmas. The troubled company, which has faced an onslaught from online rivals such as Amazon, is struggling to raise the £9million it needs to secure its future. The crisis could see Toys R Us name disappear from the UK high street, with the closure of 105 stores and loss of 3,200 jobs. Industry experts last night said the timing was awful for employees, adding that the high street should be prepared for even bigger job losses next year as shoppers flock to the internet. Sources said the chain has had its hands tied by the Pension Protection Fund (PPF), the UK’s pension lifeboat for failed companies, which is demanding the £9million payment which Toys R Us cannot afford. 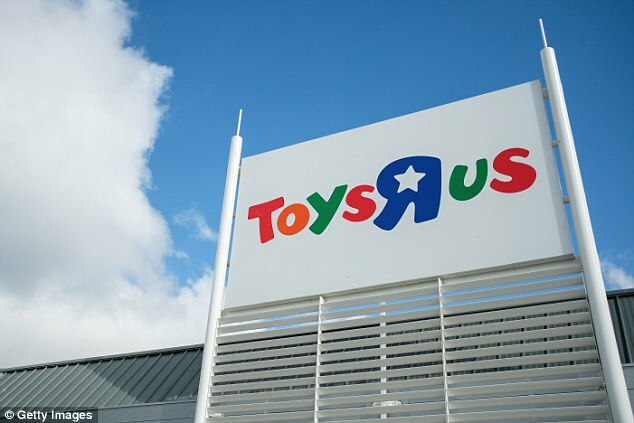 The PPF said Toys R Us must agree to the payment, which is equivalent to four years’ employer pension contributions, or it will refuse to vote in favour of a process called a Company Voluntary Agreement (CVA). The CVA would allow Toys R Us to close 26 of its 105 stores and deliver millions of pounds in savings – giving it a chance of survival. But Toys R Us must secure the approval of its creditors, landlords and the PPF at a meeting on Thursday to trigger the CVA. Concerns over an £18.4million black hole in the retailer’s pension scheme have been a major sticking point. Toys R Us has come under further scrutiny after it emerged that it wrote off a £548.5million loan to a subsidiary based in the British Virgin Islands. A letter sent to MPs by trustees of the company’s pension scheme revealed that it was completely in the dark over the loan. Labour MP Frank Field, chairman of the Work and Pensions Committee, compared the incident to the collapse of Sir Philip Green’s department store chain BHS last year which led to the loss of 11,000 jobs. ‘The company’s glib assurance to the scheme that the write-off had no impact on the direct covenant provided to the scheme is clearly disingenuous. The impact is indirect and yet to be ascertained – it could be substantial,’ he said. ‘As with BHS, the trustees and pensions regulator were kept entirely in the dark. 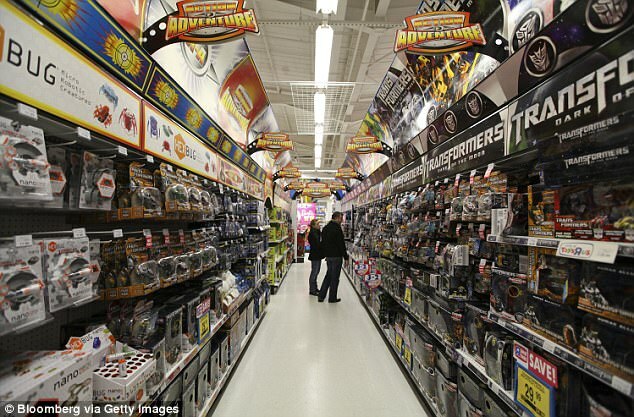 Toys R Us became a favourite among British families in the 1980s and 1990s, but its vast warehouse-style stores are now deemed too large to be profitable. The business has struggled against the backdrop of a sluggish high street which is increasingly losing customers to online retailers like Amazon. Retail analyst Richard Hyman said: ‘The timing is awful but frankly the timing is never good. 2017 has been a year of very significant job losses in retail and 2018 promises to be, if anything, much worse. I fear that this is the shape of things to come; costs are rising and sales are pretty much static among many retailers. The retailer was plunged into turmoil earlier this year when its US parent company filed for Chapter 11 bankruptcy protection after revealing it had £3.7bn worth of debt. At the time the US arm claimed the incident would have no impact on its UK operations. According to its latest financial results, Toys R Us UK made a turnover of £418million and loss of £0.5million in the year to January. It is understood that the store has been loss-making in seven out of the last eight financial years.